Madinah, which lies 447 kilometers north of the Holy City of Makkah, is the second holiest city in Islam. It was to Madinah that the Prophet Muhammad, peace be upon him, and his followers, faced by the hostility and persecution of the Makkhan merchants, departed in 622 AD – and, when the citizens of Madinah asked the Prophet to live amongst them and to arbitrate in their affairs (an invitation taken to mean their rejection of polytheism and submission to the will of the one God, Allah), it was in Madinah that the Islamic era began. Madinah is then the city of the Prophet. As the place in which the Holy Qur’an was compiled and from which the Prophet’s companions administered the affairs of the Muslim community, it was the seat of the first Islamic state. From Madinah, armies, spreading the word of the Prophet, were dispatched to Egypt, Persia and Syria. 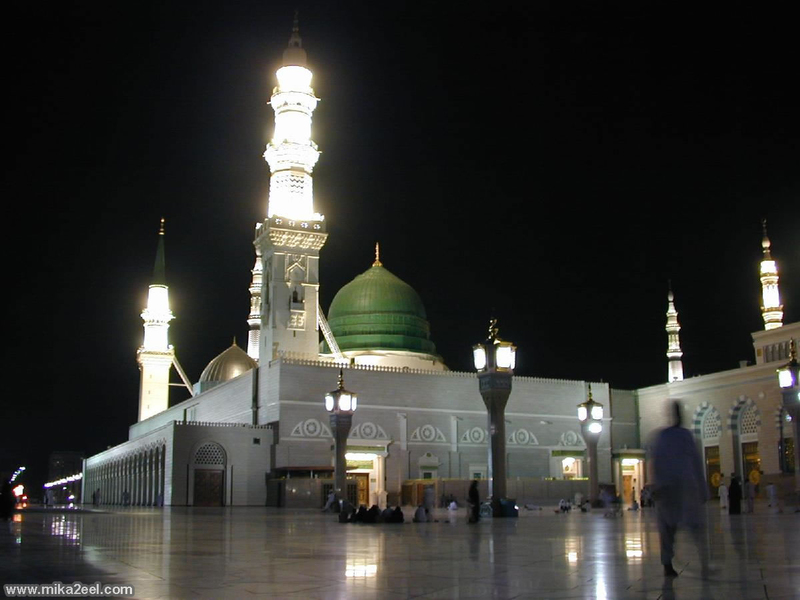 Madinah is also the place in which the Prophet, peace be upon him, was buried.